This circa 1974 38mm. OMEGA CONSTELLATION f300 Chrinometer is as clean as they come. The gold filled case with steel back pretty well looks new. 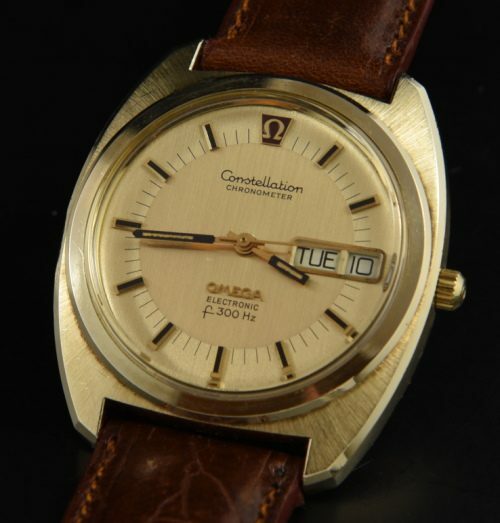 This electronic watch has the original OMEGA crown and signed crystal. 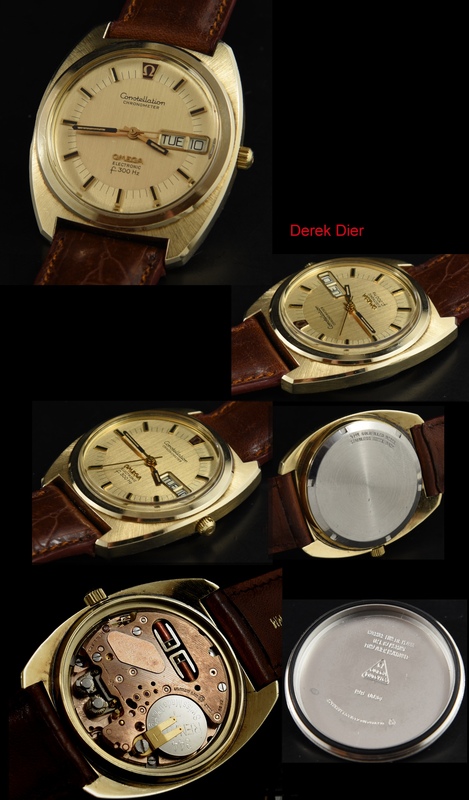 The gold original dial with day date is pristine. The fine f300 OMEGA movement was serviced and accurate. Just pop this on your wrist as your daily wearer-no winding…no fuss.